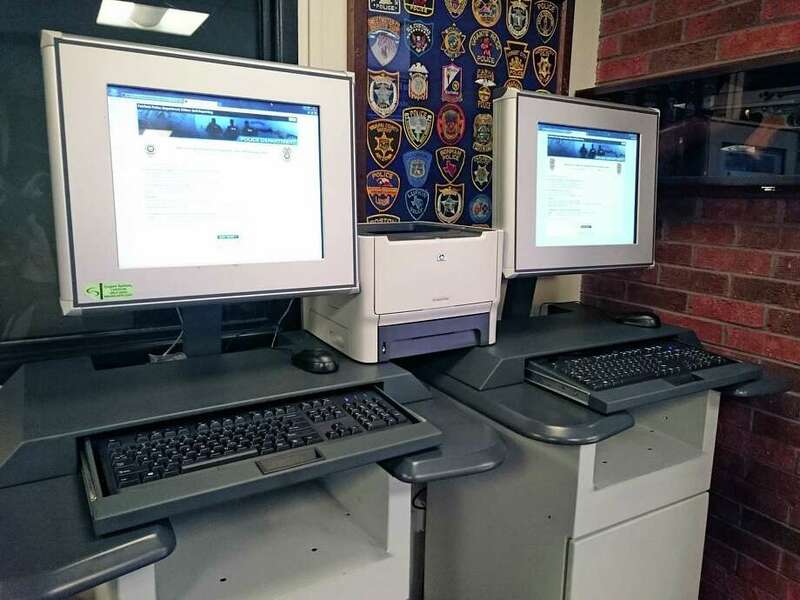 Two computer stations in the lobby of the Fairfield Police Department will soon allow people to file reports for non-emergencies online. You go to the movies. When you get home, you realize you don’t have your cell phone and can’t find it anywhere. The insurance company wants a police report on the loss. You come out of the grocery store only to discover a new dent in your car, and no note from the culprit. The insurance company will cover the cost of repairs, but first, it wants a police report. Until now, getting that report meant you either wait for an officer to come out to your house, or you making a trip to police headquarters. Soon, however, Fairfielders will be able to go online to fill out and file such reports, and then print out copies. Lyddy said police officials had hoped to have to the online reporting function live by the first of this year. “There are a few bugs we’re working out,” he said, adding they anticipate it becoming active in a few days. In addition to filing reports by home computers, there is also access to the system via two computer stations set up in the lobby of Reef Road headquarters for the public to use, along with a printer. The online reporting, Lyddy said, should be used only for non-emergencies. Filing such a report will not automatically result in an officer response or investigation, unless a review shows that it is warranted. Lyddy stressed, however, that this does not mean a person must file a complaint online. “It does not eliminate a person’s ability to see an officer,” he said.